view another article... This foot condition is the new back pain — it’s everywhereCarestream, CurveBeam to spread word about weight-bearing CTNew Cartiva ImplantPain Free Plantar FasciitisUFAI featured on ABC NewsCarolina Panthers Star Lotulelei's Foot InjuryFoot Surgery InnovationsBiggest Opportunities for Foot SurgeonsDoctors TV Show - Foot Surgery while Pregnant10 Diseases Your Feet Can Reveal, Readers DigestPlantar Fasciitis TreatmentsThe Doctors TV, Living with Plantar FaciatiisHow to Stop Foot Pain for Good44 Ways to Correct Hallux ValgusDo fat-soled running shoes protect aging joints?Ankle replacement can restore mobilityCam Newton's Ankle InjuryMinimally invasive Foot & Ankle Surgery49ers' Crabtree 'amazing' Achilles recoveryAbout Kobe Bryant's Knee InjuryCurry more likely to play than Bryant3-D Scan Reveals Foot Damage by High HeelsAlbert Pujols' Foot InjuryWill Kobe Return? Doctors Raise Questions About Laker Star's Future In The NBAWhat Kobe must do to prove 'doubters' wrongPau Gasol's return from foot injuryIs barefoot running a bad fad, or better choice?Born to Run Barefoot?Born to run barefoot? Some end up getting injuredCan a $15 basketball shoe have game? The problem with these elite athletes, when they have to spend six, eight, 10 months recovering from a surgery, is can they get back to that same level of stamina and athleticism. It's not necessarily the Achilles' that's going to be an issue. 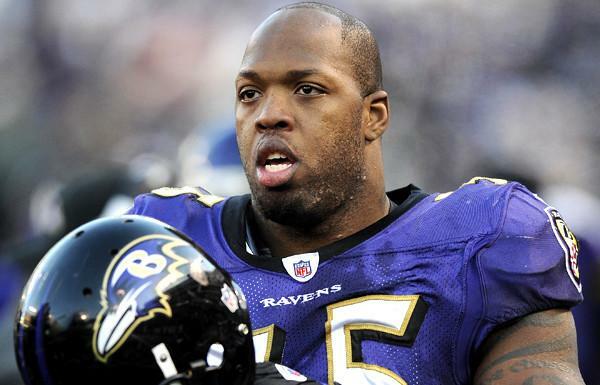 Terrell Suggs knows Kobe Bryant has difficult task ahead after injury. Suggs suffered a torn Achilles' tendon in May and returned five months later to help the Baltimore Ravens win the Super Bowl. He says he wasn't the same player and adds that Bryant will have to be strong mentally. From one sports superstar to another, one of the toughest lessons that Kobe Bryant will have to learn is that nothing is harder than doing nothing. "The first three months is mental, because you can't move or do anything," said Baltimore Ravens linebacker Terrell Suggs, who suffered a torn Achilles' tendon last May, four months after he was named the NFL's defensive player of the year. "It's extremely difficult," Suggs said Saturday. "It's definitely one of the hardest things I've had to endure in my life. But if you've got drive, you're not accepting what the world's telling you, you can do it. But it's definitely the hardest thing I've ever done." Suggs, 30, made a remarkable recovery and was able to return for an Oct. 21 game against Houston, five months after the injury and a month ahead of an optimistic timeline. He said he wasn't the same player, though, even as his team went on to win the Super Bowl. "The first time after the repair and rehab, there's going to be a lot of things you're not going to be able to do," he said. "Just things you took for granted, your explosion off of it. All that's going to take time to come back. I started to get my explosion a little bit toward the tail end of the season. But anybody could see that throughout the course of me playing, I was never really myself." Similar Achilles' injuries are common, and previously hobbled such stars as the NBA's Chauncey Billups, Shaquille O'Neal, Charles Barkley and Dominique Wilkins; the NFL's Dan Marino and Vinny Testaverde; and soccer's David Beckham. Billups, now 36, tore his left Achilles' in February, 2012. The five-time All-Star went through an arduous rehab and he returned to play for the Clippers in November. But this has been a trying season for Billups, as he's suffered back, foot and groin injuries and has only played in 20 games. "You are in shock to have an injury like that, especially at that age," Billups said about Bryant. "You go through a lot of different emotions. Sometimes you get down and depressed a little bit throughout the process. "I think more than anything we share is the thought of retirement after you've done pretty much everything that you've wanted to do, of course you are going to think about it. But that thought is very short because you're always looking for other challenges. And this will be a challenge. For somebody that works hard, for somebody that grinds like I know he is, like I am, I know he's going to be able to beat it. But it's a fight, though." In 1994, his second NHL season, then-Winnipeg's Teemu Selanne took a skate to his Achilles' and suffered an 80% tear. He was off the ice for eight months but resumed what would be a Hall-of-Fame career, although he was a dozen years younger than the 34-year-old Bryant when he sustained the injury. Beckham was almost 34 in 2010 when he suffered a ruptured Achilles' while on loan to AC Milan from the Galaxy. He missed five months. "The problem with these elite athletes, when they have to spend six, eight, 10 months recovering from a surgery, is can they get back to that same level of stamina and athleticism," said Dr. Bob Baravarian, a foot and ankle specialist at St. John's Health Center in Santa Monica. "It's not necessarily the Achilles' that's going to be an issue." Baravarian said it's vital for athletes to stay as close as they can to top condition during the recovery process. Very quickly, I'd say within a month, he'll start doing things to actually train his Achilles' also. He probably won't be back to walking on it for about two months, and he probably won't be back to shooting for about three months." Asked what advice he might give Bryant, Suggs said: "Because of his competitive nature, he's going to attack his rehab so he can be one of the best players in the world again. "But as athletes in general, everybody thinks we're superhuman, like something out of this world. This is a reminder that even Superman does get tired. We are human."